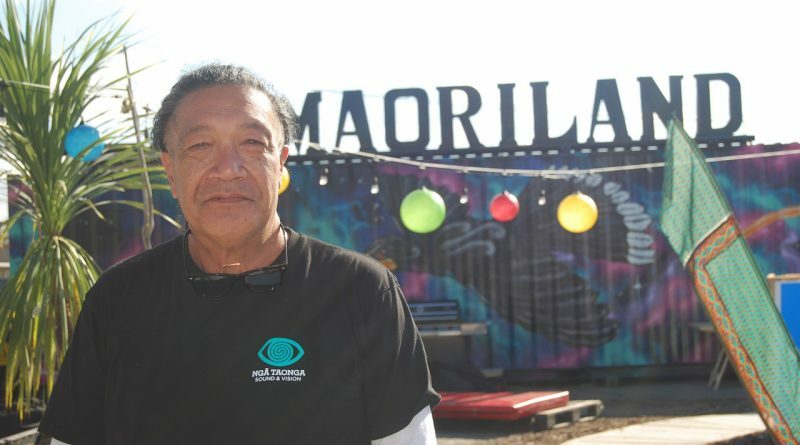 Ngā Taonga Sound & Vision’s Kaitoko Kaupapa Torotoronga ā-Iwi Matua – Senior Outreach Curator Māori Specialist Lawrence Wharerau has been at every Māoriland Film Festival. Having just attended the sixth Festival he reflects on how he’s seen it grow. Looking back over the six years of its existence, Māoriland Film Festival and its organising committee, please, take a bow. The main kaupapa of Māoriland is to build on the cultural, social and economic development in the Horowhenua region. They have already won several awards for the work they do in and for the community. From early beginnings, building on the dream of local broadcaster and film maker Libby Hakaraia, the charitable trust and its supporters have built this festival of ‘fourth cinema’ – moving image with an indigenous focus – into a buzzing and enthralling five day event such as you rarely see in small towns. Box office and events have both increased to the point organisers must wonder how much bigger it can all get. The other time this cozy town gets this busy is during the Ōtaki Kite Festival each February. This year when I arrived on the Friday morning the township was heaving with people. Young and old alike thronged the streets on foot with tour buses running up and down the main road moving people to and from screening venues. The keynote speaker kicking things off this year was our own Heperi Mita (Taonga Māori Collection Team Leader at Ngā Taonga), first time director of one of the festival sell out films, Merata: How Mum Decolonised the Screen. His documentary is a deeply personal look at his mother, the formidable Merata Mita, and her contribution to Māori and indigenous story telling on screen. It speaks to the sacrifices she endured and triumphs she accomplished over a long period in screen production. Another stand out and sold out screening was Vai. A collaborative feature film made by nine female Pacific filmmakers, it was filmed in seven different Pacific countries: Fiji, Tonga, Solomon Islands, Kuki Airani (Cook Islands), Samoa, Niue and Aotearoa. It is about the journey of Vai, played by a different indigenous actress from each of the Pacific countries. In each of these Pacific nations ‘vai’ means water. Moananuiākea: One Ocean. One Canoe. One People was also a highlight. This documentary recounts the three year round-the-globe journey of the Hawaiian ocean-going double-hulled canoe Hokole’a and the environmental impact mankind has on the planet. The annual Native Slam competition matches indigenous film makers from around the world to create unique short films following some strict guidelines. With no budget, a range of filming restrictions and just 72 hours, teams must unite and create a short film. This year’s winners were Jason Taylor (Māori), Morningstar Derosier (Anishinaabe), Tyson Mowarin (Ngarluma) with their film Awa. 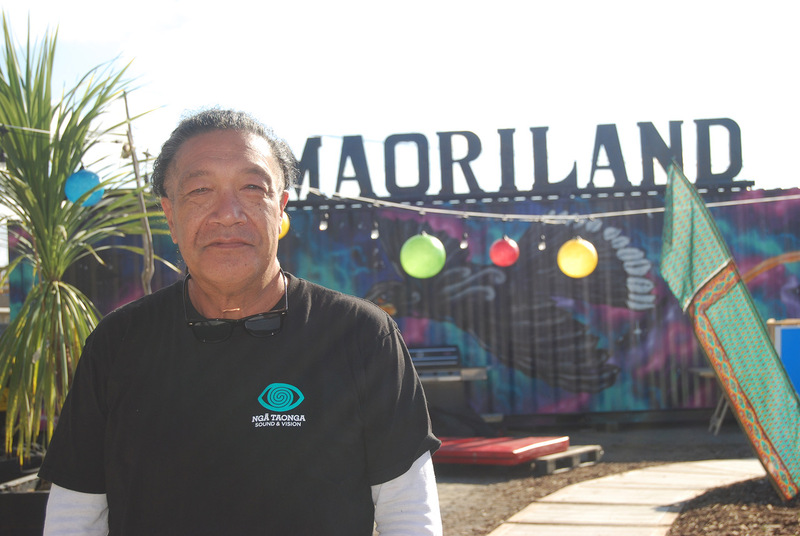 Māoriland has grown into much more than just a film festival. It is a centre of musical entertainment, film and production education for rangatahi, encouraging and mentoring emerging screen production talent as well as environmental sustainability and minimising human impact on the ecosystem. Māoriland Hub, based in the former Edhouse’s Building on Main Street, is fast becoming a cultural powerhouse. It showcases Māori creative talent of all description – weaving, carving, story telling, exposure to music and health practice. 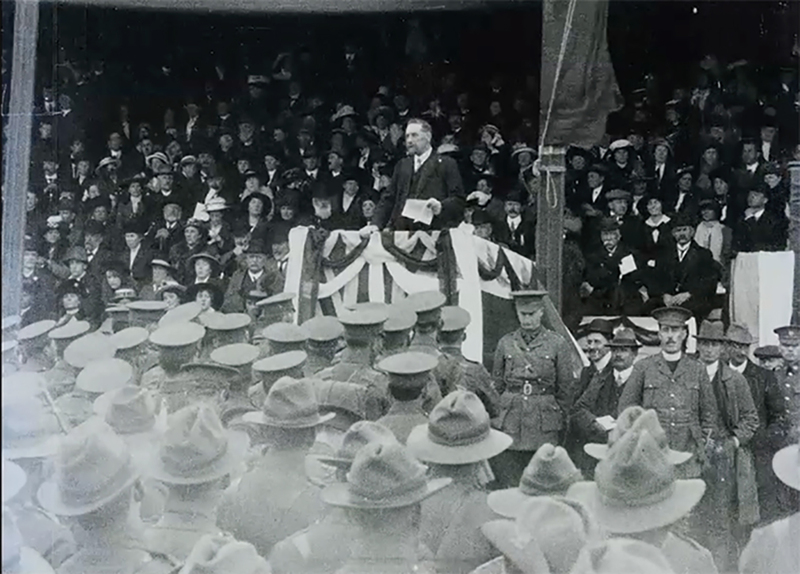 The links and relationships that have been created across the globe are impressive, from the Sami of the Arctic Circle, to the First Nations of Canada and the Americas, from the Aborigine mobs of Australia to the many nations that make up Pacifica: Māoriland attracts some of the best indigenous screen talent working in fourth cinema.